Specially designed rain hat that gives protection from inclement weather. 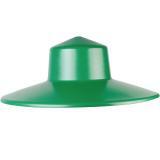 Use with the Eco or Handy poultry feeders. 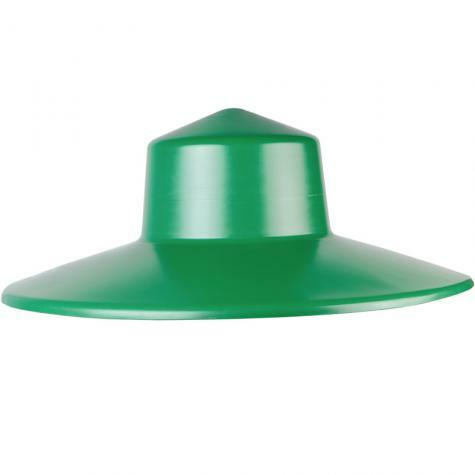 Protect your chicken feed and reduce waste by using this rain hat. The internal handle allows you to control feed flow and hang the feeder. Also supplied with push-fit legs that elevate the feeder off the ground. Keeps food dry. Love this product. Fits perfect over the top of the chicken feeder. No chance of feed getting wet. The rain hat does work. Keeps everything dry. Chickens had no problem with it at all. Love it. Love this rain hat. We have been having rain twice a week at night. And every morning the food is dry. 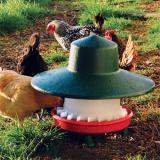 The chickens have no problem eating under the hat. I can fill it up and go several days without checking it. Great Idea!